Zac Posen, one of my favorite designers from New York or should I say "Big Apple", briefed the models before the show on how they should project when walking the runway, "The feeling is that you just got engaged, and you’re wearing your ring, and you’re stepping out for the first time as a soon-to-be-married woman or you’re stepping out as a woman who just bought her own ring. Posen is adding engagement rings to his bridal collection, Truly Zac Posen, and he had all of the models in the show wearing one on the runway. I admired the off-the-shoulder LBDs so much that I would really like to wear out of his collection. I think it will be a trend in Spring 2015. 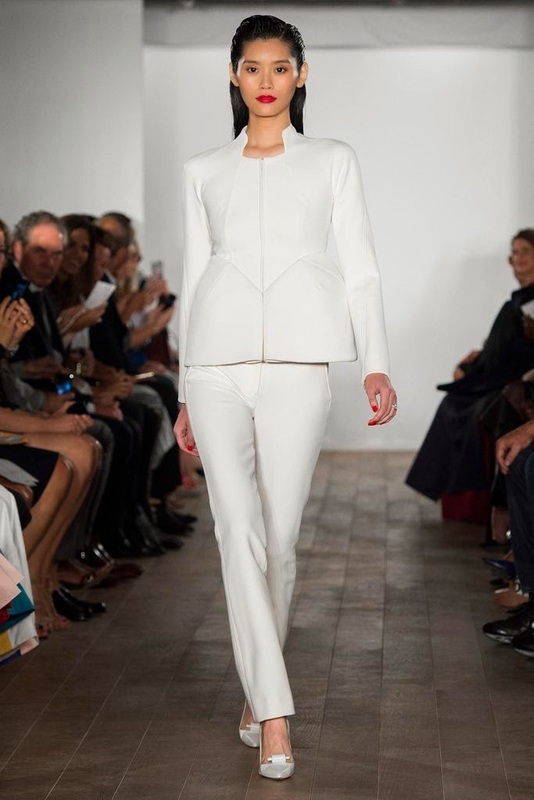 The pantsuit in neoprene-bonded crepe with a molded peplum detail looked immaculate. 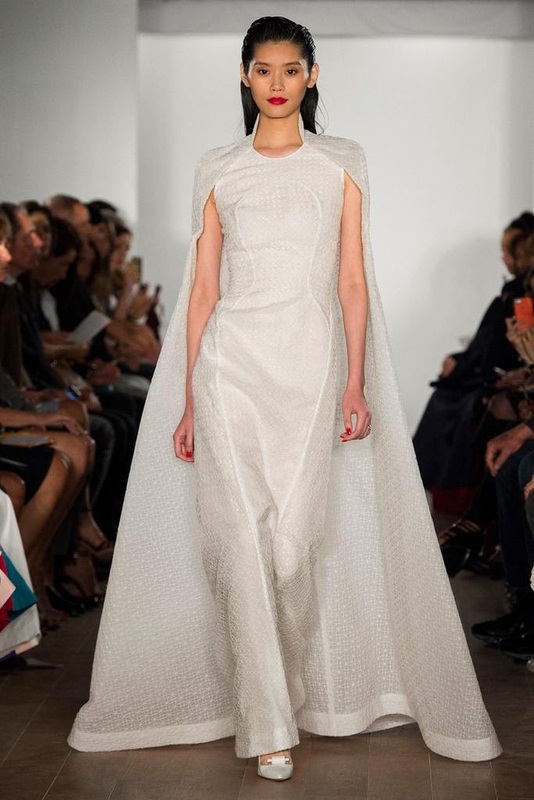 As a fashion aficionado, I got my eyes on those clean, classic, and glamorous garments that Zac Posen just showcased. Bravo I must say.